"It's not science fiction, but I couldn't resist. "Does it actually make the mice smarter, or just forbids them to forget?" "Hmm, the key passage seems to be this one: "They [mice] also learned more quickly to navigate through a water maze to a hidden escape platform by remembering visual cues." Do the researchers know that the mice learned to navigate the maze more quickly because of improved memory, or is that an unconscious deduction on their part? The final portion of the article speculates that suppressing this gene entirely would lead to "improved cognition" so I guess that's where you would get to "smarter". It's an interesting question, though, if you think about the fact that people are rewarded in certain subjects in school for having freakishly good good memories and little more. Are they "smart"? " "I think a better likeness to this innovation from the pages of science fiction is from the children's book Mrs. Frisby and the Rats of Nimh (The Secret of Nimh). 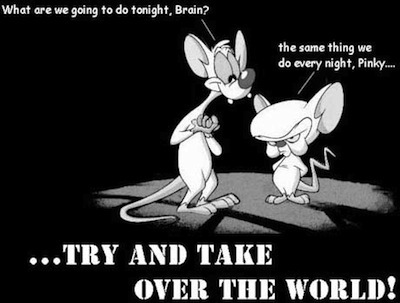 The rats and mice had their genes manipulated by researchers and became mankind's equal in terms of brain power."